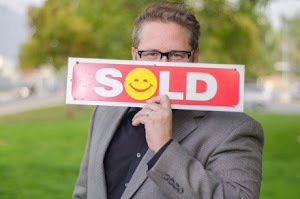 Philip Keppel Real Estate - Los Angeles, CA REALTOR®: "I use the internet and phone apps, so I don't really need a Realtor. " The New Norm in Real Estate? "I use the internet and phone apps, so I don't really need a Realtor. " The New Norm in Real Estate? We are truly blessed these days to have an abundance of information readily available by internet and phone app. It's good for real estate since buyers are less dependent on agents and can actually find new listings at the same time, or even before their agent does. The bad news is this new freedom has given buyers the wrong impression that they can do all the work on their own. It ultimately leads many to waste time chasing homes they can't afford, or sign with unknown agents last minute while scrambling to make an offer on the one home that just popped up which peaks their interest. While the job of finding homes has been all but eliminated from todays agent's job description, many actually find it a relief. Buyers having power to finding their own homes frees agents to dedicate more of their time to other areas of real estate such as marketing and client follow up. Today's agents not only need to be able to guide and protect buyers through the sales process, they must also be adept at marketing homes, developing websites, phone apps, and provide regular entertaining postings on their social media sites. Even still, most buyers will still gloss over the most important skills an agent can bring - knowledge of contracts, the sales process, and superior negotiation skills. This is where great agents separate themselves from those who drive buyers around, write offers, and hope for the best. All buyers will ultimately learn their freedom to search and find homes will not eliminate the need for a competent agent to guide, and write/present offers. It is unfortunate then that many spend their beginning weeks/months as habitual open house visitors - going home to home aimlessly while their best hope for success is to find a knowledgable partner early in the process. Their fear to engage and ask questions unwittingly set them up to waste time and experience disappointment. The first rule for all buyers is to get qualified with a lender before looking at any home. This serves two very important purposes: 1) Getting qualified with a lender lets one know exactly what price point he or she is qualified for and helps avoid wasting time looking at lesser or unrealistic homes. 2) Looking at more expensive properties always taints a buyer's perspective on ones they can afford. Many will end their search rather than settle for homes they would have been fine with had they just focused on from the start. If you must visit open houses on your own, at least try to engage the agents working. Use it as an opportunity to learn about the current market. See what each agent knows about the current inventory and what has recently sold. Ask about their process of submitting offers and how they will help get your offer accepted. If they don't have a detailed explanation for that then leave and find someone who does. Successful agents know how to properly submit and follow up on offers. If you want to know my process, give me a call (818)516-7387. I'll be happy to provide a detailed explanation of how I will submit your offer, follow up, and after it is accepted - protect you through the process.